NEW YORK - Florida prosecutors will seek the death penalty for Nikolas Cruz, the former student accused of murdering 17 people in a shooting spree last month at a Parkland high school, according to a notice filed in court on Tuesday. Michael Satz, the state attorney for Broward County, filed the notice with Judge Elizabeth Scherer of his office’s intent to seek the death sentence, ahead of a court hearing on Wednesday. 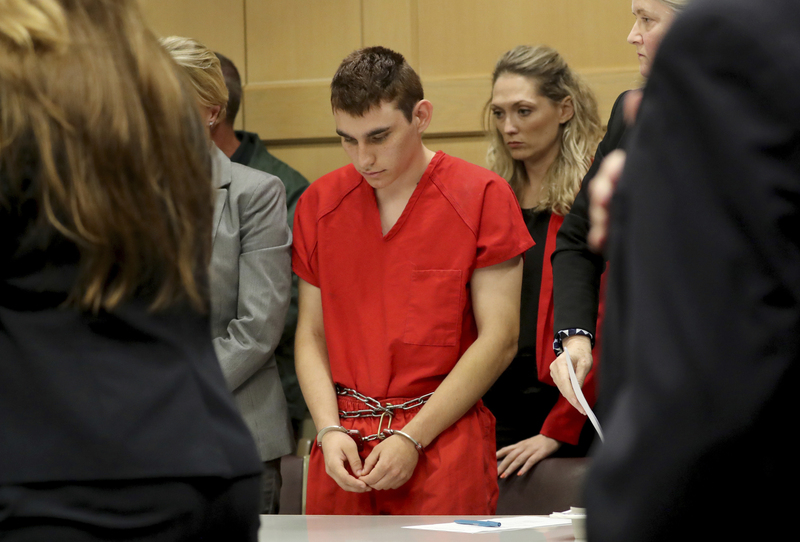 Cruz has been charged with 17 counts of premeditated murder and 17 counts of attempted murder for the attack on Feb. 14 at Marjory Stoneman Douglas High School, in which 14 students and three staff died. After the filing, Cruz’s attorneys repeated their offer for Cruz to plead guilty if prosecutors agreed to not pursue the death penalty. Cruz is due to appear in court in Fort Lauderdale on Wednesday for his arraignment, where he will be formally asked to plead to the charges. Standing mute means the defendant will not plead either “guilty” or “not guilty.” Cruz’s lawyers have said they have taken this approach to avoid upsetting survivors and families of victims with the “fiction” of a not guilty plea. The court is expected to enter a not guilty plea on Cruz’s behalf, Finkelstein said. “We are not saying he is not guilty but we can’t plead guilty while death is still on the table,” Finkelstein wrote. Daniel Reed, a parent of a student at Stoneman Douglas who initiated a petition drive seeking to have Amazon remove the National Rifle Association’s channel from its offerings, said he was opposed to the death penalty for Cruz. “I don’t think death will bring back the lives of the 17 people who were killed and it certainly doesn’t solve our ongoing issue … when it comes to gun violence,” Reed said. But Ashley Schulman, a 17-year-old Stoneman Douglas senior who was on the opposite end of the campus when shots rang out, said she supported the decision to seek the death penalty. “I think the punishment will give some justice to the families of the victims,” she told Reuters.